Dr. Cassis gives advice on taking care of your skin in your 30’s in this New Beauty article. Buy One Glycolic Peel, Get 2 Glycolic Peels Half Off! Correct and refresh your skin with Glytone Glycolic Peels! Buy One Glycolic Peel, Get 2 Glycolic Peels Half Off! $65 savings. Available for purchase September 14th, 2015 – September 18th, 2015 only. Cannot be combined with any other offers. Call our office at 502-326-8588 to purchase this great special. https://cassisderm.com/wp-content/uploads/2017/02/Cassis-Dermatology-Logo-1.png 0 0 @cassisderm https://cassisderm.com/wp-content/uploads/2017/02/Cassis-Dermatology-Logo-1.png @cassisderm2015-09-15 13:31:252019-03-15 17:44:43Buy One Glycolic Peel, Get 2 Glycolic Peels Half Off! 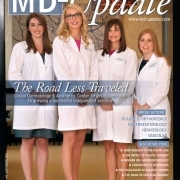 Cassis Dermatology & Aesthetics Center is featured in the MD-Update September 2015. Read about how we are forging our own path to grow a successful, independent practice by adding a second physician and a nurse practitioner, as well as opening a second location. Dr. Cassis has been named a top Louisville Dermatology doctor. See the listing on page 69. View Dr. Cassis’ New Beauty profile to read more about the Cassis Dermatology and Aesthetics Center practice, expert insight, before and after, credentials, testimonials and question & answer section. 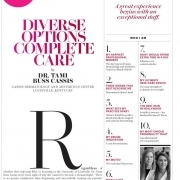 Dr. Cassis is featured as a New Beauty expert. 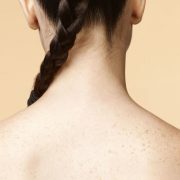 Read this article about tanning truths and myths in the Courier Journal. Having acne on your face is hardly fun, but what about back acne a.k.a. 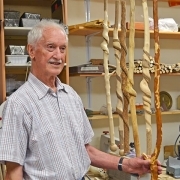 bacne? At least a good makeup tutorial can help make your skin look more flawless, but you can kiss tank tops and strapless dresses goodbye if you’re sporting bumps on your shoulders and below. Luckily, with a few simple modifications to your daily routine, you can make those body pimples a thing of the past. What is the secret to a long and healthy life? We recently met three older dynamos who are all considered “elderly” based solely on age, but one meeting with each of them proves that age really is just a number. In fact, they defy the stereotypes of the aged and instead pursue their art, creating things either for themselves or for sale. We’re thrilled to introduce you to these three amazing locals!